Foam capping to top boards for a Backyard Ice Rink. 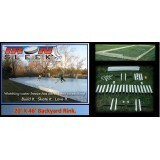 Rink Topper comes in 60" (5 ft.) Lengths. They are packaged in bundles of 8 pcs. This package will cover 40 ft. of perimeter. 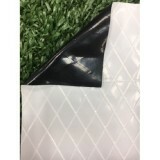 Rink Topper Foam gives an outstanding aesthetic appeal to your rink. It also has some very practical functions. For one, it acts as a Liner Clip. You do not need to staple your liner if you use Rink Topper. In addition, Rink Topper helps skaters discern the rink edges when the landscape is fully covered in snow. 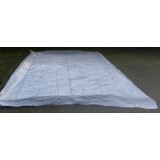 Rink Topper also acts as a cushioning for the rink edges. 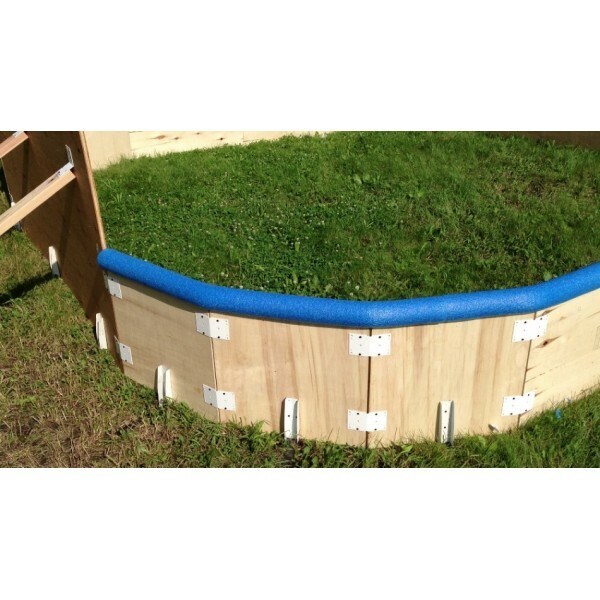 Rink topper has a 3.5" OD and is strategically designed with offset circles to keep the foam tight fitting on both 3/4" plywood and 2" by lumber. Excellent for stretching and handling the plastic liner. The color held up well which surprised me. 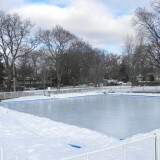 I have built many rinks and I would not build a rink without it. Iron Sleek Rink Cove 32 pk. 160 ft.
Rink Cove comes in packages of 32 pc. 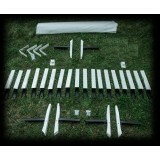 Each piece is 5' long for a total of 160' of linear coverage. 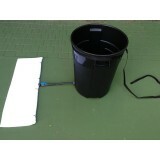 Protects Liner Bottom from Shar..
Easy to Assemble Adaptable to any rink size Can use hot water You may have seen variations of a resurfacer where the Rink owner is pu..
48" wide snow shovel for quick removal of snow on your backyard rink. 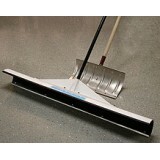 Make quick passes to remove falling snow and ice shavings. ..